HOUSTON (KTRK) -- This week we've shown you multiple sclerosis can affect anyone: a Texas cowboy, a country music singer, our own Melanie Lawson. "I know what those struggles are. I deal with them every day," musician Clay Walker said. "I think if you're the kind of person who wakes up every day and thanks the Lord for another beautiful day then that's how you will approach your illness and your life," Lawson said. 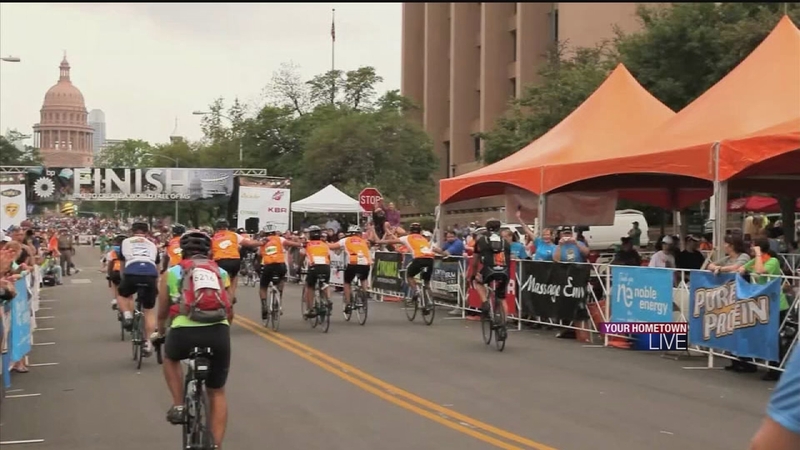 This weekend thousands of riders will peddle uphill and ride through the prairie. Teams of fundraisers, including brothers, who will ride side by side. "The best thing is to have your friends, family and my brother right next to me," said Griff Jaggard with the Carney Men team. The finish line is more than 150 miles away in Austin. "There's so much noise and activity when you come across the finish line it's just an amazing site," said Kelli Dreiling with the MS Society. But every dollar raised, every peddle pushed makes the journey to a cure closer. "This is an exciting time because so many breakthrough results are happening now," Dreiling said. In the history of the ride, $214 million has now been raised for MS research, programs and services.